Stellar Home Health Care, Inc. is a Home Health Care Agency licensed by the Illinois Department of Public Health for Health Care to provide quality home health care services to individuals in need of care. 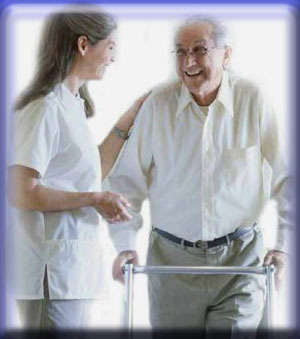 If you need Home Health Care services outside this service area, we will help you locate a Home Health Care Agency that will aide in your recovery. Healing can be hard enough. Why do it in an unfamiliar setting? Our services allow you to stay home, so you can heal in a comfortable and familiar surrounding. Our professional staff have the highest levels of degree, certification, and experience to ensure you receive the care you deserve. Stellar Home Health Care, Inc. is committed to providing the highest quality, safe, and cost effective delivery of home health services to clients. With a compassionate and caring environment we will provide quality health care for person of all races, creeds, nationalities, and socio-economic backgrounds. As we continue to grow, our commitment and efforts are centered to provide superior care, therapeutic, preventative, and rehabilitative services to our clients, their families, and to the community. Through the collaborative efforts of the administrative, clinical and medical staff, and governing body, we will always strive for improvement to meet the needs of our client. We take pride in our work, which will be the key to our success in fulfillment of our mission.